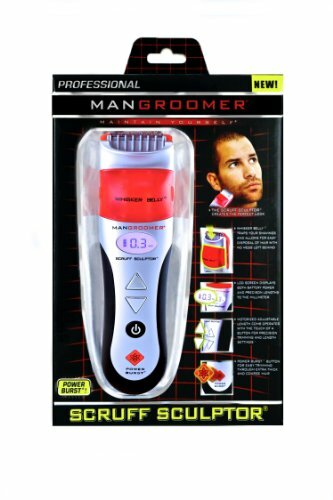 The Mangroomer Scruff Sculptor is said to be a very powerful unit. It has a big range in guard length, which is adjustable with the big arrow buttons on the front as well as shown on the LCD screen. The lengths range from 0.3mm, going up to 5mm. This unit also has a “whisker belly” that helps catch hairs as they come off. It won’t catch 100% of them, but it does reduce the clean up. It also has a power burst button that helps you get through those extra thick beards. After looking through countless reviews throughout the web, we’ve compiled a good amount of information and reviews on this trimmer. With so many guard lengths to choose from on this unit, you’ll be able to get a great personalized style from almost skin-smooth to a clean, average sized full beard or goatee. The turbo button gets through tough hairs to help personalize the experience as well. The trimmer is very comfortable to hold, and is easy to clean up after using with the whisker belly. Self sharpening blades make the unit low maintenance for you as well. Not to mention the ease of cleaning the blades too. The MANGROOMER Scruff Sculptor will need to be charged after purchase for about 16 hours. This is a one-time charge, so you’ll never have to charge it this long again (unless you like to leave it on the charger after each use!). Each time it dies or gets low on battery from then on, you will only have charge it for 3-6 hours depending how dead the battery is. You’ll be able to tell this by the LCD screen on the front that shows the battery life and the guard length. 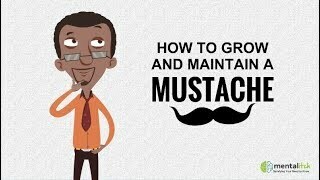 This trimmer is a powerful one, and we recommend it to guys who need a straightforward trimmer that can get a close to the face trim, or maintain an average sized beard/goatee.